Hal is no ordinary hamster. 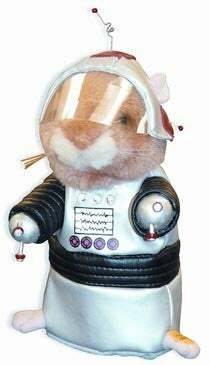 While other hamsters find themselves confined to the dancing gifs of 1990s novelty websites, Hal has grown into an autonomous force of the entertainment world. Dancing to Styx' Mr. Roboto on command, Hal is recommended as a loyal companion in all environments not including pod bay doors. For those of you who will now have Mr. Roboto in your head for the rest of the day, enjoy the video after the jump.